The Analog Digital Radiation Meter counts the pulse output of a standard analog Geiger counter to provide a visual readout of the CPS, approximate radiation level (imperial/metric) and analog radiation field strength meter. Figure 1. 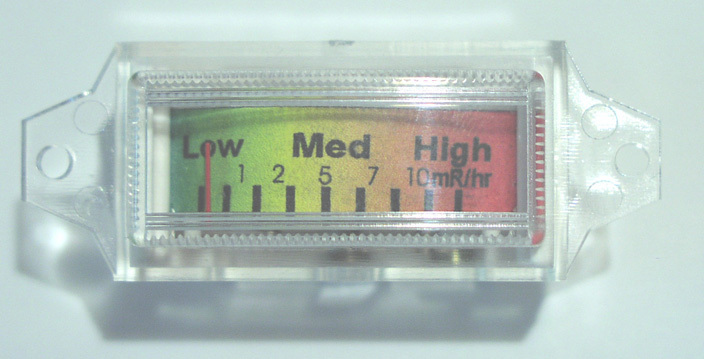 Close up of the Analog Radiation Edge Meter. 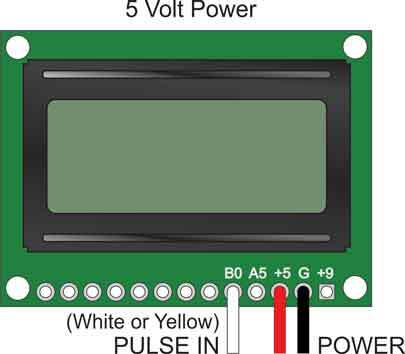 Images’ Analog Digital Meter allows you to add a digital display to your analog Geiger counter. The default display will provide readings in CPS and mR/hr. 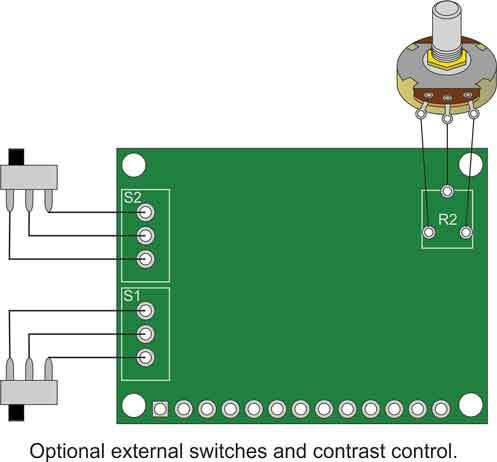 To switch the unit to display metric measurements (mSv/hr) a jumper is placed on the two-pin header on the back of the PCB. The standard unit derives its power at either 5VDC, see image below for accurate wiring diagrams. The meter features onboard switches that control power to the meter and backlight, as well as a control to adjust the contrast on the LCD. Additional options give you the ability to hardwire the unit so that the power to the meter and backlight remain on at all times that your geiger counter is on. In other words, "set it and forget it". You may also choose to add an external contrast control.